SURFPAD is an Oasis enriched with a true Kiwi flavour. Offers adventures that excites and delights its customers. 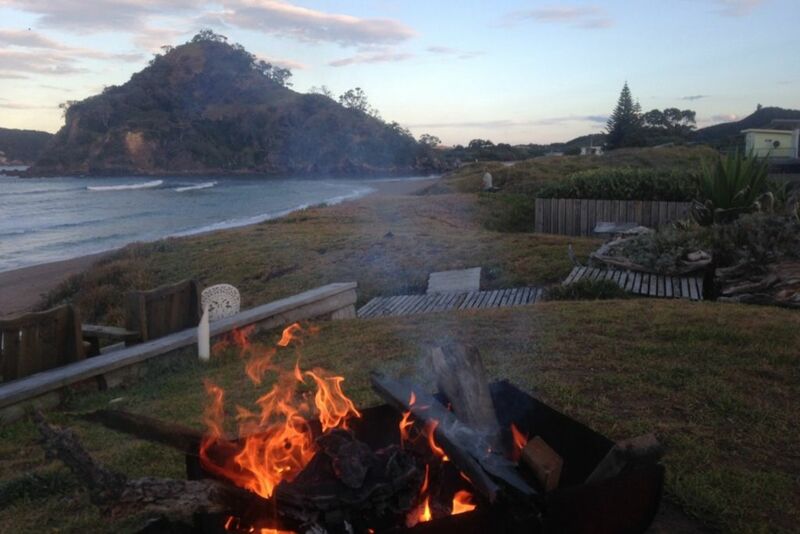 Mission; To provide a affordable quality Kiwi style holiday, in a relaxed and friendly atmosphere. Surf lessons available by qualified instructors, who will teach you to embrace the seas energy, while maintaining respect for our ocean and surrounding coastlines. Surfpad is about 30 paces from the surf beach, which flows into a beautiful estuary, which is great for the very young swimmers, also good to do some snorkelling if you wish.There is a foot bridge connecting North Pataua and South Pataua. A lot of holiday makers spend time on the bridge, fishing and often jumping it as well a very popular pass time at Pataua. There is a boat ramp for those who wish to bring a boat, and during the summer holidays there are fishing contests if that's your game. Surfpad has 2 fully trained surf instructors that are available for surf lessons. We also have surfboard hire . We have paddle boards for hire which is a lot of fun in the estuary and would be happy to give you lessons if you need them . There is a shop that operates during the summer holidays, at the camp ground south side they have their own bakery and take aways, this is about 20 minutes walk over the bridge to the south side. There are heaps of things to do lots of coastal walks, surfing, swimming, fishing, tennis courts all close by. If you need to go to town its a 30 minute drive over sealed roads. The best thing about staying at the Surfpad, is you can do all these things or just do nothing at all. If you are staying here out side of the summer holidays there are no shops open at Pataua North A new cafe called Tahi which is about 2 km on a flat road very walkable, which is open from the 27 th Dec so you can enjoy a very nice coffee or brunch hours 7.30-3pm . Be sure you bring every thing you need for your stay. It is a 30 minute drive to Whangarei if you forget anything. Discounted rates other than at peak times, for 1 - 2 people $150 per night. Extra $50 per extra adult $25 per children this is in the off season. Mach/October other times back to usual price . If you are staying for more then a week we have plenty oflinen for a change. We are happy to wash your used stuff and will replace towels when required. Welcome to use front loading washing machine we use 25 minute cycle to help with water control, clothes line out the side the Bach or if it’s wet we have a clothes line in the garage. The surf pad was everything one could ask for. Plenty of privacy with quite comfortable accommodations. Lovely beach of course. The hosts were not only friendly but fabulously talented as well. Bonus points for the two super resident kitties. We felt so special that one would join us for evening cocktails on the beachside deck and the other shared our bed at night. But don't tell. We were lucky Hawaiians to have found the Surf Pad at Pataua. Great little place that suited the six adults in our group perfectly. Pataua is such a special spot. Enjoyed a bbq in the garden which was perfect as it was out of the wind so didnt mind not having the sea views. Very tidy little place, well fitted out. Neville and Diana were excellent hosts. We enjoyed exploring both Pataua North and South by foot. Many choices of lovely beaches which means there is always somewhere to laze when the wind comes up. Thoroughly recommend it if you are happy not to have big sea views from your accommodation. Lovely spots to sit outside, right on the beach. Wonderful location. We really enjoyed our stay. Bach is great. Awesome location with fabulous owners. Awesome hosts and location. The photos don’t really do the property justice, it’s fab. The bach is located on the beachfront in North Pataua. Primo spot as you can swim and surf at that beach, paddle board and swim in the estuary (which is located about a 2 minute walk away) and swim at the beach in South Pataua (15 min walk). Beautiful part of the country.